To celebrate Archives Month, I will be posting highlights from our collections throughout October. I hope that this will turn into a regular series. To learn more about Archives Month, visit the Society of American Archivists website. During the 1960s, a section of Interstate 95 called the “Southwest Expressway” was slotted for construction in Boston. This project spurred massive protests by local residents whose neighborhoods would have been affected by the twelve-lane highway. 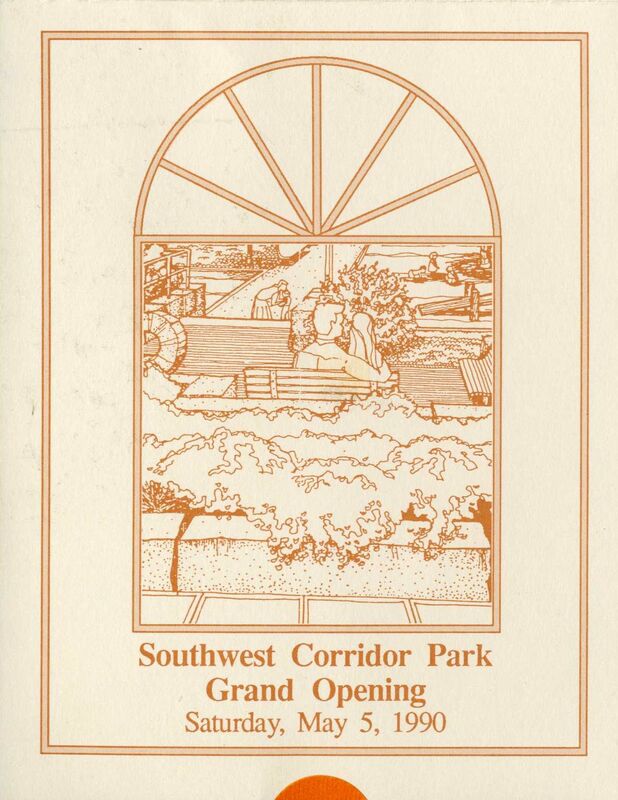 The protests were successful, and in 1969 Governor Francis W. Sargent cancelled plans for the Southwest Expressway. Highway funds were used to reroute a section of the MBTA’s Orange Line along the course of the proposed highway, and to concurrently create public open green spaces. These green spaces make up the Southwest Corridor Park, a 4.7-mile, 52-acre linear park in Boston that stretches from Back Bay to Forest Hills, and connects the neighborhoods Back Bay, the South End, Roxbury, and Jamaica Plain. University Archives and Special Collections holds the papers of Ann Hershfang, a long-time resident of the South End who has been involved in community activism in her neighborhood since the late 1960s, primarily with issues relating to highways and transit. She was part of the fight to stop the construction of the Southwest Corridor project. 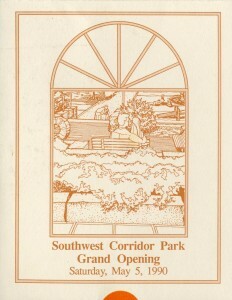 Hershfang’s papers document the resistance to the Southwest Expressway and the creation of the Southwest Corridor Park. The collection also includes materials on WalkBoston (founded by Hershfang), the Massachusetts Port Authority, the Massachusetts Executive Office of Transportation and Construction (now the Massachusetts Department of Transportation), the Massachusetts Turnpike Authority, the creation of Titus Sparrow Park, and open space plans in Boston. I also want to let you know that Ann Hershfang will be speaking as part of a panel on October 28 at the Massachusetts Historical Society, Transforming Boston: From Basket Case to Innovation Hub Program 2—Connecting the Communities Back to the City, 1960–1990. The panel, part of a series for which UMass Boston is serving as a non-profit partner, will feature Langley Keyes, Paul Chan, Ann Hershfang, and Karilyn Crockett, and is moderated by Rep. Byron Rushing. Learn more and RSVP for this event here. View the finding aid for the Ann Hershfang papers here. For questions about this collection or to schedule a research appointment, please contact library.archives@umb.edu or 617-287-5469. University Archives & Special Collections in the Joseph P. Healey Library at UMass Boston collects materials related to the university’s history, as well as materials that reflect the institution’s urban mission and strong support of community service, notably in collections of records of urban planning, social welfare, social action, alternative movements, community organizations, and local history related to neighboring communities. University Archives & Special Collections welcomes inquiries from individuals, organizations, and businesses interested in donating materials of an archival nature that that fit within our collecting policy. These include manuscripts, documents, organizational archives, collections of photographs, unique publications, and audio and video media. For more information about donating to University Archives & Special Collections, click here or email library.archives@umb.edu. 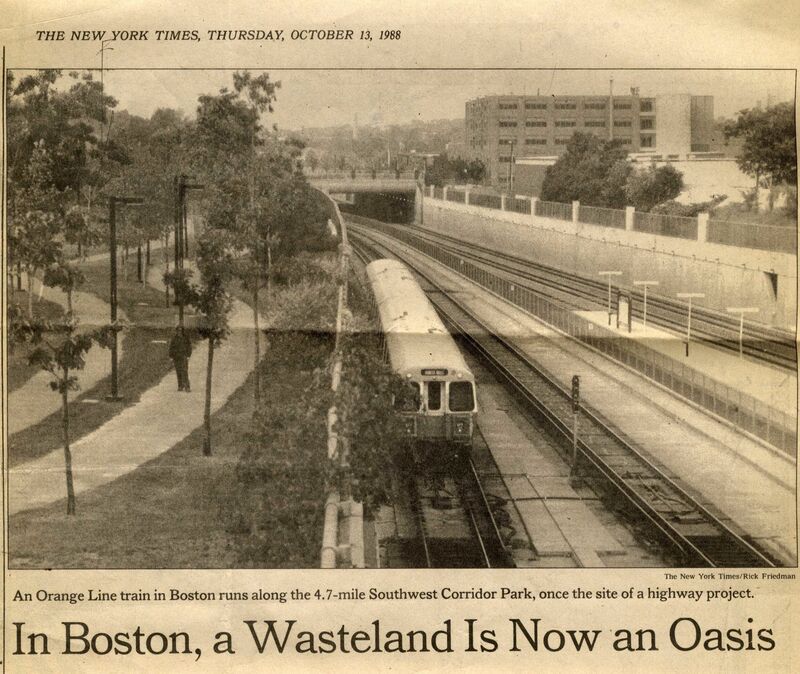 This entry was posted in Collections, Special Collections and tagged Ann Hershfang, Archives Month, community activism, local history, MBTA, Orange Line, Southwest Corridor, transportation. Bookmark the permalink.